Amy Latimer’s day-to-day responsibilities read like a career resume. 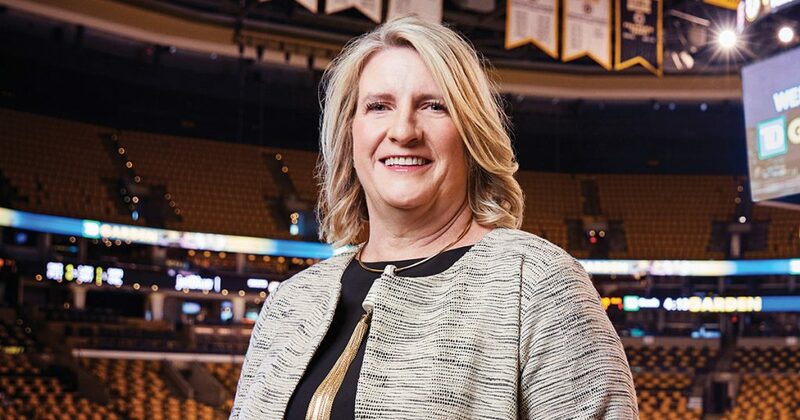 As president of TD Garden, Amy directs and oversees all operations at TD Garden, home of the Boston Bruins and Boston Celtics and host to many of the world’s most popular music and entertainment acts. The dynamic center hosts 150-plus events and millions of guests each year. 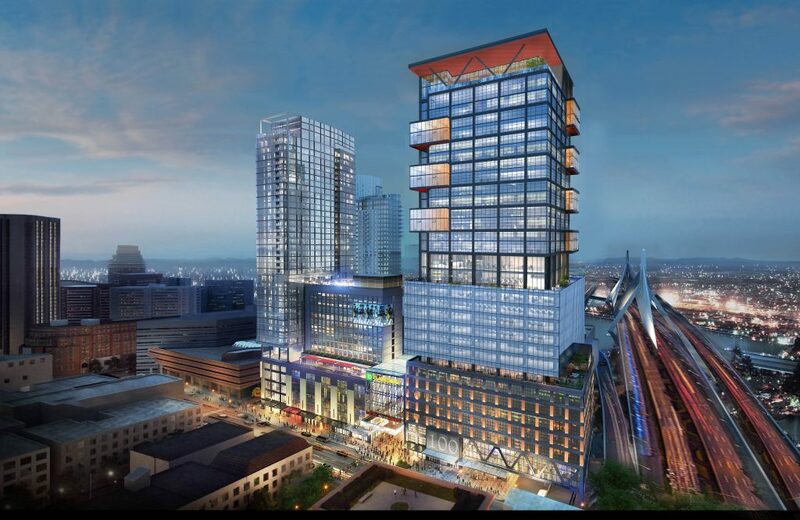 She’s also critical to The Hub on Causeway – a 1.5 million sf retail, office, hotel and residential development, being built on the parcel of land directly adjacent to TD Garden and the original site of the old Boston Garden. The project brings new hotel and residential spaces to the area, along with a 20-concept food hall, new restaurants and the largest below-grade grocery in Boston. All to say, every day, around the world and across oceans and time zones, Amy is leading some of the most dynamic food, entertainment and development projects in the industry. Kind enough to spare a few minutes for our team, Amy recently connected with me to talk about The Hub on Causeway, trends in food and hospitality development, and more. Delaware North’s efforts span the globe; what trends are you seeing that will shape food and hospitality for the decade ahead? My work takes me around the globe, but Boston’s definitely home. And one thing we’re seeing in our city that’s happening all over is that landmark restaurants that have been around 50 years are now closing. Nobody can believe it, but at the same time, it’s very predictable. You have to evolve or you risk irrelevance. The days of the same people coming every Friday are over. That’s not a sustainable model. Today, success in food and hospitality comes down to numerous factors. At the core, you have to deliver excellent, high-quality food. The market is so competitive, that anything less won’t survive. If you can do that, you still have so much else to navigate. Technologies like Uber Eats mean fewer customers may walk through your doors, but you can still reach them if you embrace that shift. New generations crave experience, so you can’t just build it and they will come. How do you connect with customers via entertainment, happy hours, free fitness classes – this is part of a food operator’s world and business plan now. We’re taking all of that into consideration inside TD Garden and also with The Hub on Causeway project. We know it’s going to be transformational for the neighborhood, but I think it’s also going to be a leading-edge model for urban food and hospitality development. The Hub on Causeway is such an incredible opportunity. In what ways will it transform the neighborhood? Just five years ago the area around TD Garden had no real residential component and its culinary scene was essentially pubs that happened to sell food. That’s all begun to shift, and The Hub on Causeway is going to push that to an entirely new level. This project alone introduces a new hotel, more residential space and commercial space. And, when it comes to food, we’re opening a food hall with authentic Boston concepts, new full-service restaurants, Star Market (the largest below-grade grocery in Boston) and a 1,500-peron live music venue – it’s night and day. This project takes the place of the original Boston Garden, which had been a parking lot for the past 19 years. The Jacobs family’s vision, the idea to have this incredible mixed-use retail and new front door for TD Garden, I think we’d have been the first sports arena to have that had we opened when they first envisioned. After several years of thorough planning, we’re well on our way to realizing the transformational benefits this project will have on the immediate neighborhood and city of Boston as a whole. You reference residential, commercial, entertainment. That rolls off the tongue, but those are different types of customers with different needs. How do you serve them all? That’s a good point. The project also sits on a major transportation hub for Boston, so there are 50,000 people walking through each day besides the 400 apartment units, and the hotel that doesn’t really offer any food or beverage. So, you’re right, we need to come at it on all different levels. Star Market (the grocery store) really embraces prepared food for those who seek healthy options they can grab and take upstairs quickly. So that really serves many of the residents and local employees. The approach our Delaware North and Patina teams have taken in the food hall and restaurant is going to foster community. I think sports are still one of the last real communal experiences in our social fabric. You go there with your family – it’s a multi-generational experience – and food is a huge part of it. The Hub on Causeway will foster that communal experience directly outside the building as well. There’s definitely a line with all the different types of people who will be our customers. But, I think with the food hall, restaurants, entertainment offerings, we’ve created a scaled system. And, then you add the grocery store – I just think we’ve created a 360-degree ecosystem of food that will allow us to take care of every single person who comes through. You said new generations crave authentic food experiences. Whether it’s an airport, TD Garden, The Hub, how do you create them? [Laughing] That’s the secret ingredient; you want me to give it away? In all seriousness, authenticity is now a business strategy. So, when we’re selecting operators for our spaces, we search high and low to find ones that are unique and help create that experiential component. There is no tried and true anymore; you have to put in the effort to create something truly original. We’ve certainly done our research and have several of these authentic Boston concepts planned for the food hall. We can’t share the plans just yet, but fresh, local seafood is most definitely an anchor for the space. I think there are thousands of entertaining, delicious reasons to visit TD Garden and soon The Hub on Causeway will add nearly two dozen more. Across every market, be it healthcare, education or business, people are understanding design in much more sophisticated ways. Fueled by growing consumerism and shifting generational preferences, people expect better experiences at the hospital, in a college student union and/or in the workplace. They expect immersive experiences that make their lives more enjoyable. Responding to these shifting expectations, building owners and design teams working in other markets now regularly embrace leading ideas from the world of hospitality and infuse them into their projects. Borrowing these ideas allow organizations to push new boundaries, achieve competitive differentiation, and/or bolster recruitment and retention. The hospitality market has long been delivering valuable immersive experiences for customers and that makes it rich for cross-market ideas and engagement. Whether it’s the warm welcome of the maître d’ at a fine restaurant or the elegant touches at a grand hotel, these efforts and moments positively impact the human experience and can make all the difference for guests. Today’s generation values experience more than its predecessors and is often willing to pay for it. This means hospitality design will have more opportunities and more impact informing projects in other markets moving forward. We should be designing to create memorable impressions, conscientious touch points for users, in as many places as possible and ensuring equity across all cultures and economic boundaries who experience those spaces. Where can hospitality design have the most value? Healthcare is a challenging field for those who work in it. Long hours and constant stress are ever-present realities for employees resulting in burnout and turnover. While healthcare organizations spend a great deal of time and investment on creating incredible patient experiences, they should turn to hospitality to elevate staff experiences. 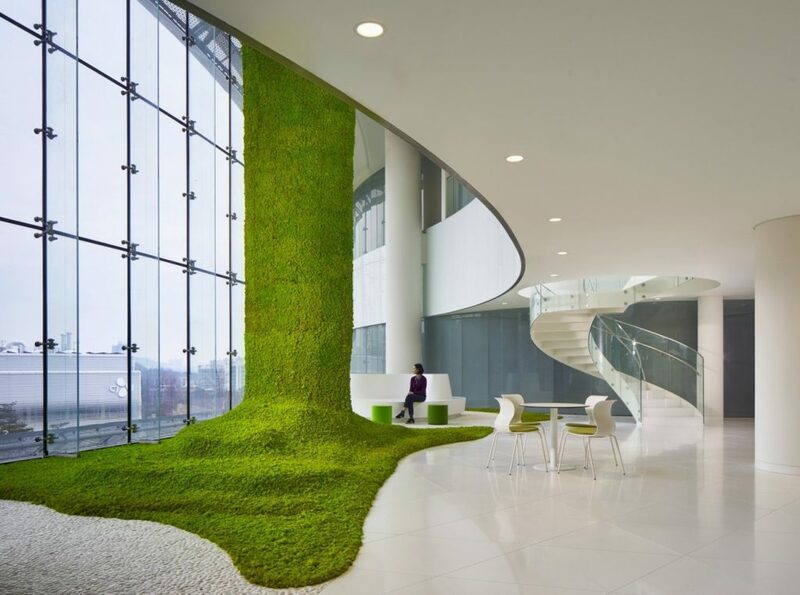 Just as hotels provide areas of respite for guests or public spaces connect visitors to nature, healthcare spaces should strive to do the same. 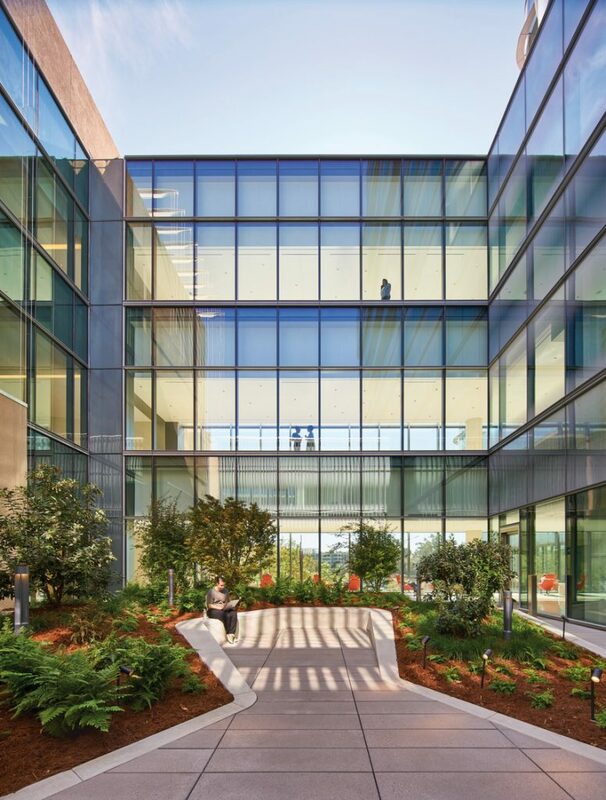 UC San Diego Health’s Jacobs Medical Center is a positive example of this as it infuses numerous elevated gardens and terraces along with public art where staff can pause for rejuvenation during the day. The building’s curvilinear form also promotes natural movement and ensures maximum daylighting for both staff and patients. Beyond promoting staff health, the infusion of hospitality design elements here helps strengthen recruitment and retention. With competition for talent at all-time highs in the medical field and new generations that value work/life balance and access to wellness amenities on par with salary increases — such a design strategy is imperative for healthcare organizations seeking to employ the best and brightest. College campuses are ripe for hospitality design’s influence as students literally spend their entire days there — they sleep and study in residence halls, they socialize in student unions, they eat in dining halls. All of these spaces are ripe for design intervention but there’s definitely a disconnect between today’s and tomorrow’s learners and long-established assumptions about residence hall furniture. Future students require spaces and furniture that not only support individual, focused study, but also collaboration, socializing and wellness. Princeton University has been engaging students, administration and staff over the past year to understand what wants, needs and expectations future students will have for res hall furniture, and expect to share results later this year. They have anchored their approach in the idea that these college halls should feel like “home” while accommodating diverse and rapidly evolving ways of studying. Not surprisingly, hospitality resonates loudly in the initial findings and results Princeton is developing. Similar to healthcare, the world of research requires long days and nights in laboratories. Historically, lab spaces were often reserved for facility basements or the core of buildings where light can’t penetrate. These design and location decisions do nothing to benefit researchers’ wellbeing, can stifle idea sharing and collaboration and are light years away from cultivating positive immersive experiences. While all employees are different, they share one common reality — the need to spend large amounts of time in the workplace, simply working. Companies seeking to lure and retain top talent are infusing more hospitality-like elements (living walls, fitness centers, walking trails, amenity stations, etc.) into their workplaces to differentiate themselves. This push for hospitality design in the workplace will fuel bold ideas. Earlier this year, our team designed Sona — a mobile lactation pod for working mothers. Taking into account the taboo nature of “pumping” at work, the design team developed Sona as an experience-driven, mobile pod to meet and exceed the needs of women who choose to pump in the workplace. From the outset of the design challenge, we asked ourselves: How can we make this a positive experience for women and leaned-on hospitality design principles. The project is currently in development and hopefully headed to workplaces in the near future. Other markets reliance on hospitality design ideas will only grow stronger as students, healthcare staff and consumers continue to push for more experience-driven design. It’s an exciting paradigm shift and organizations who can lead the way and differentiate themselves for future success.